Harry's Bar opened in 1983 as Devine's Wine Bar. My personal recollection is very vague, going back some 30 plus years. It was dark, down a flight of stairs and resembled a large cellar. It is entirely possible that this was a remnant of the old Royal Sea House Hotel that used to grace that plot of land until 1925 when it was replaced with the arcade. It always appeared bigger than it really was with the clever use of mirrors. I do recall that the clientele was a very mixed bunch but this was a time when we were far more tolerant. The doorman at the time was clad in leather with the ubiquitous gold medallion hanging around his neck. Sadly it is no more. On a recent visit to look at the Sea House Bar on the roof top we spoke with the building owners who informed us that the old bar is now a store room. Nothing remains. 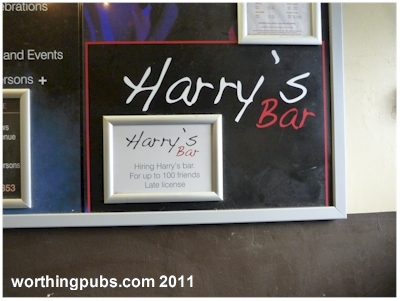 The gentleman pictured above is Harry Frost, the man behind Harry's Bar. 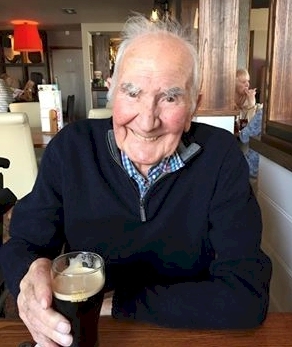 Sadly he passed away in June 2016 aged 90. Our thanks to Steve Walker and Harry's son for permission to use his picture. 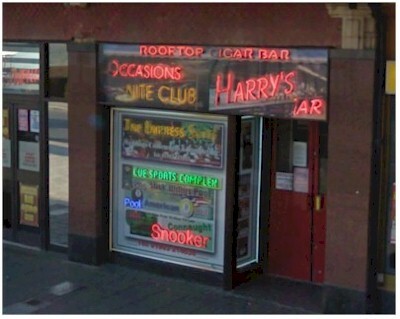 Jayne Fenner recalls that in 1986 when she used to attended what became Harry's Bar it was known at the time as the Posh Pussycat Club. Jayne remembers there used to be a raised fish pond feature next to the bar entrance which she admits she fell into after a 'heavy' night.